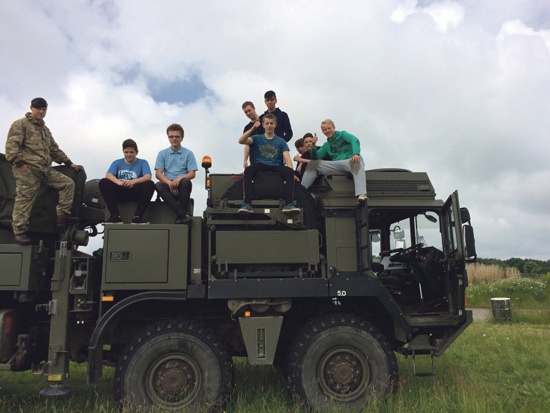 Youngsters at Oasis Academy Brightstowe in north Bristol tackled a range of tough military tasks as they spent a day sampling life in the Army. The Year 10 pupils were among those from 16 local schools represented at the Military Challenge Event, held at Colerne Airfield in Wiltshire. The schools competed against each other in activities including paintballing, soft target shooting and an assault course, supervised by soldiers from famous British Army regiments including the Coldstream Guards, Royal Signals and Royal Electrical and Mechanical Engineers. Maths teacher Paul Greenup, who organised the trip, said: “The day is designed to support team-building and leadership development, and provide an insight into Army careers, as well as being a day of fun, fitness and competition.